Huge tabular icebergs in the southern ocean. Antarctic ice cap rising into distance. 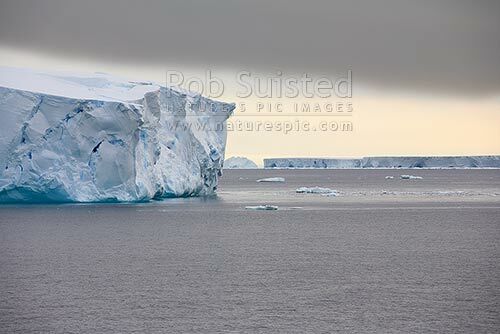 Commonwealth Bay, Commonwealth Bay, George V Land, Antarctica District, Antarctica Region, Antarctica, stock photo.